Reasons to order and send your Christmas presents early! We all do it – leave things ‘til the last minute and then end up panicking about getting them done. This is very often the case with ordering and sending Christmas presents. We have a whole year to plan, but most of us won’t think about preparing for Christmas until November, or December in some cases! Online ordering makes it easy, doesn’t it? A quick click and your lovely, well-thought-out gifts will be on your doorstep in no time. Unfortunately, it doesn’t always happen that way. Delivery companies are at their most stretched at this time of year, meaning delays and damages can be more common. Having a bit of forethought and forward planning when ordering and sending Christmas presents can make your yuletide run much smoother. Here’s how! If you order or send your parcel just in time for Christmas, you’re not allowing for those unexpected hiccups that can sometimes happen. What if your parcel gets delayed, or lost? What if it gets damaged in transit? What if it arrives, and you find out you’ve duplicated a gift, or sent the wrong size? What if, in the whirlwind of preparations, you’ve sent the wrong parcel to the wrong person? Give yourself plenty of time and you can put right anything that goes wrong. If you end up relying on a sameday or next-day delivery service to ensure your gift is received in time, it will cost you more than standard parcel post – and who needs extra expense at an already extravagant time? If you’ve left things ‘til the last minute, missed deliveries can be your worst nightmare. 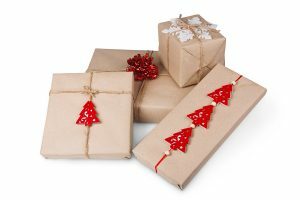 Delivery and courier companies are under a great deal of strain in December, meaning it won’t always be possible for them to accommodate re-schedule requests in time for Christmas Day. Why risk it? Have we convinced you? Get ordering and sending your Christmas gifts now. For a parcel delivery quote, give e.d.s. Couriers a call on 01543 466 455.